Tap symbols for info. Tap for Full-Screen. This map shows accommodation for Alpbach. To locate Hotels and Chalets elsewhere, tap a marker or select a link from the menu to switch maps. Landhaus Alpbach is located in the centre of Alpbach, 800 metres from the free shuttle bus to the slopes of Skijuwel Alpbachtal. Guests can benefit from free ski storage at the cable car station and on-site free parking in the private garage. Located in the picturesque village of Alpbach, Hotel Alphof features a large spa area with an indoor pool. Each room has a furnished balcony, a seating area, and bathrobes. The Congress Centre and a ski lift are a 2-minute walk away. Located in the centre of Alpbach, Hotel Böglerhof offers traditionally wooden furnished rooms. It provides free Wi-Fi, a fully equipped wellness area, free parking and a breakfast buffet. Just 50 metres from the ski lift into the Skijuwel Alpbachtal Ski Area, this traditional 4-star hotel in Inneralpbach is surrounded by a scenic mountain landscape. It offers direct access to the ski slopes, a sauna, and a steam bath. Located in the scenic Alpbach Valley, 4*S Galtenberg Family & Wellness Resort offers a large spa and pool area and many facilities for families and couples. This Tyrolean-style guest house is located in the centre of Alpbach, a 5-minute drive from the Wiedersbergerhorn Ski Lift. It features rooms and apartments with a balcony offering scenic mountain views. Free Wi-Fi is available in the public areas. Located in the centre of Alpbach, Hotel Zur Post features a Tyrolean restaurant, a spa area, and an outdoor pool (in summer). Free private parking is available on site. Knollnwies is located in Alpbach, 1.2 km from Böglerlift, and offers a balcony, garden, and free WiFi. The apartment is 1.4 km from Congress Centrum Alpbach. The apartment is fitted with a satellite flat-screen TV and 2 bedrooms. Situated a 4-minute drive from the centre of Alpbach, Kaiserhof offers an apartment with free Wi-Fi and satellite TV. It is fitted with Tyrolean-style furniture and provides 2 balconies with mountain views. The Alpbachtal Ski Area is 2 km away. Located on a mountain on the edge of Alpbach, Alpengasthof Rossmoos has a wellness area with sauna and steam bath. Some accommodations have a balcony with views of the surrounding countryside. 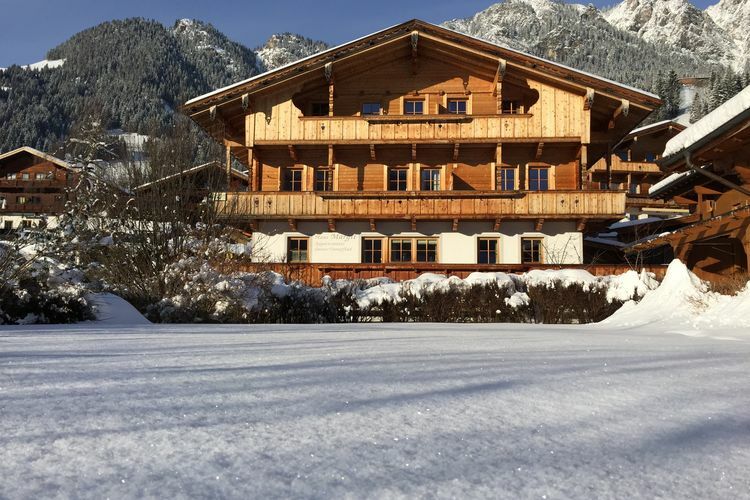 Bichlhaus enjoys a location in Alpbach, just 300 metres from Böglerlift and 400 metres from Congress Centrum Alpbach. The Wiedersbergerhornbahn I is within 2 km of the apartment, and free WiFi is provided. Hotel Andreas offers country-style rooms with mountain views, a 5-minute drive from the Pöglbahn and Wiedersbergerhorn Cable Cars. For details of Winter Sports, including Snowboarding and Skiing in Alpbach, see also :- Alpbach, Ski Chalets, Snow Forecast, Snow Report, Ski Holidays, Ski Hire, Airport Transfers, Car Hire and Austria. Hotels in other popular Ski Areas near Alpbach. Note :- Ski Hotel deals to Alpbach are subject to change until booked. You must check any particular requirements directly with the Operator at the time of booking.